Learning by doing. Awarded at the International Festival of Creativity, Cannes, exhibited at the MOMA in New York and at the MIT: who are we talking about? Cubetto, of course, a super-innovative learning tool for computer programming used here at Marymount. With a workshop in which the kindergarten students had the opportunity to discover much more than a simple toy. Cubetto(invented by Filippo Yacob, student of Massimo Banzi) was conceived by an Italian start-up based in London. It is a friendly wooden robot with no screen. It has a console to be programmed through a set of 16 colored blocks (which identify the movements) and a plan (map). Every map is an adventure that Cubetto is asked to explore, for example visiting a castle or mountains that can be only reached with the help of the children. They have to identify the correct sequence, through logic reasoning, and set the movements, thus learning the first basic steps to coding. What was the result? A multisensory experience, a real innovation in kindergarten teaching with a playful approach, which can also be used in primary school with age-appropriate changes. 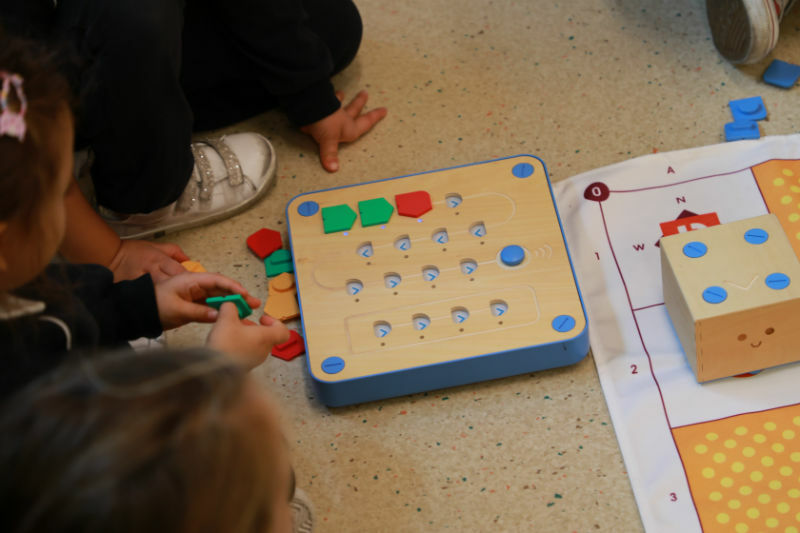 The children involved were very curious about Cubetto and immediately started to find creative solution towards the “correct direction,” processing concepts and sharing solutions to determine commands. 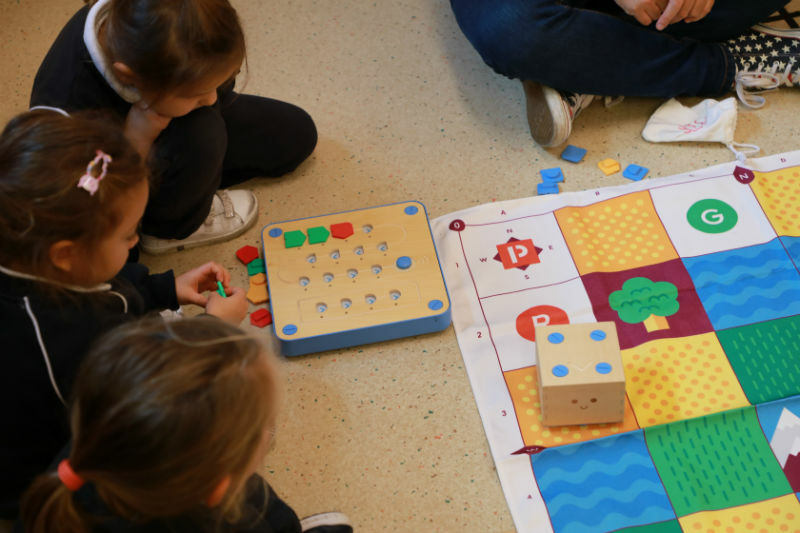 Educational robotics has landed in our school as Cubetto, the programmable friend that already has enthusiastic admirers.